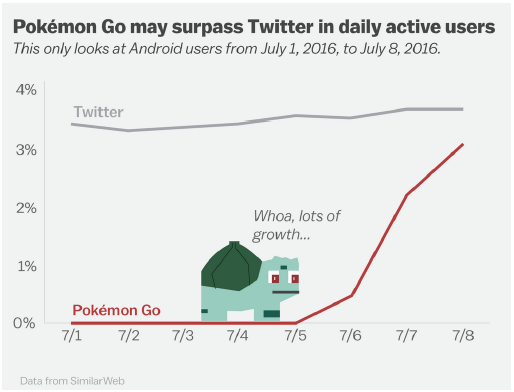 The Pokémon Go phenomenon is more proof the world is being readied for Satan’s rule. The world is going crazy playing a game called Pokémon Go. The public saturation is so large the app downloads will soon surpass Twitter. There are some 20 million DAILY users of the game and large companies like Kellogg’s, Kraft Foods and Burger King are heavily promoting it. Few Believers realize what the game actually is and apparently see no problem letting their children play it hours on end. In a nutshell, Pokémon Go is an occult-rooted and demon-oriented game of witchcraft originally created in god-less Japan. Believers’ children should have nothing to do with it! If I were to suggest you should get out a Ouija Board and ask it a few questions, most grounded Believers would immediately point out the occult properties of Ouija that are obviously off-limits to Bible believing Christians. And if you think using a Ouija Board is bad, Pokémon is 1000 times worse! It’s like a three dimensional Ouija Board that is not played in one spot, but outside, all over the world as players chase and empower virtual demons. Yes, you read that correctly. Let’s start with the word “Pokémon.” It’s a Japanese word that means “pocket monster.” And this comes from the same company (Wizards of the Coast) that originally developed the highly occultic and anti-Christian “Dungeons and Dragons” and “Magic the Gathering” games. 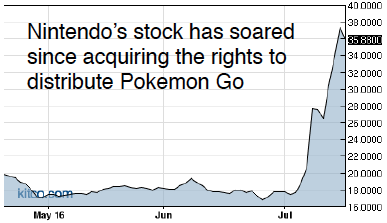 Nintendo negotiated a license to distribute the game and its stock has since soared. 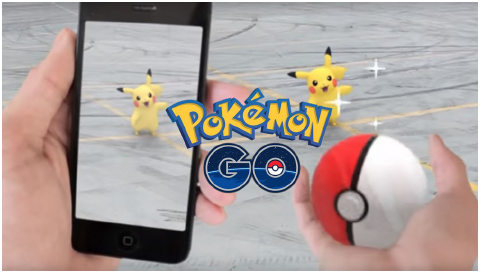 The game is played by downloading an app to your smart phone which is used to find and capture Pokeballs. The Pokeballs are found all over town–appearing as images on the players’ phones in parks, schools, hospitals, businesses, freeways, landmarks, etc. 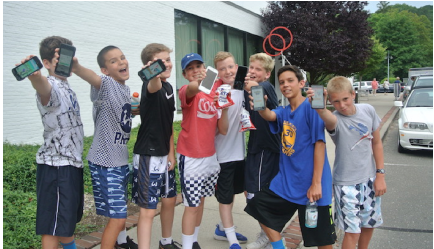 They’re then used to throw at and capture virtual pocket monsters appearing all around in the mapped streetscape. Called “immersive play” or “augmented reality,” players use their smart phone’s GPS and camera functions to blur reality with fantasy that, in essence, gives spirit and soul to digital objects. 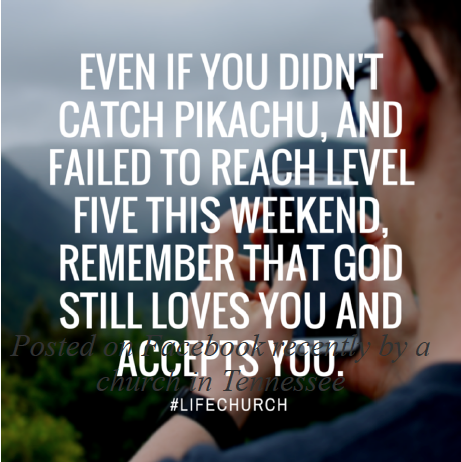 Pokémon gives power to whomever catches them. When you capture your pocket monsters, you train them to have more and more “power” to use against other people’s Pokémon. The characters even mimic evolution as the Pokémon “evolve” from 1 to 100 as the game progresses. There are some 150 named Pokémon and they have special powers as they share the world with humans. For instance the Pokémon named “Haunter” can hypnotize, eat your dreams and drain your energy. “Abra” reads minds and “Kadabra” spews negative energy. Do note the names they use! 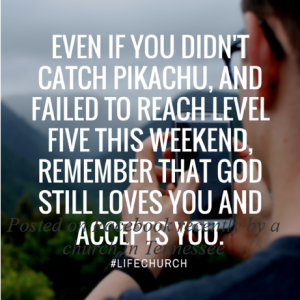 So the bottom line is that playing Pokémon Go is dealing with the devil’s demonic world. “Pocket monster” is just a ruse for “pocket demon.” The world has gone crazy searching out virtual demons! Most have no clue. Christian kids are being unsuspectingly sucked into the world of the occult by the millions. Few realize, especially children, that this is a gateway to the occult and is strictly forbidden in the Bible. 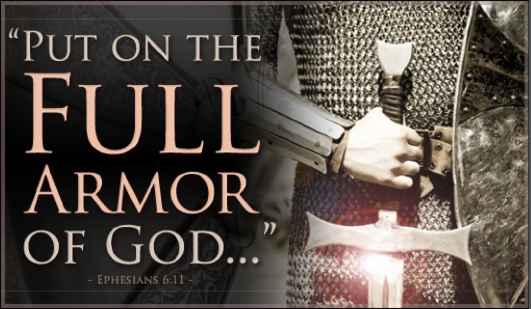 We certainly don’t want our children dealing with demons! But most see no harm in letting their kids play the game. 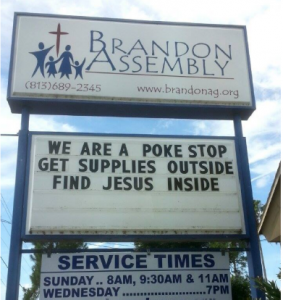 Believe it or not, hundreds of churches, both liberal and conservative, are EMBRACING Pokémon Go by making their church a PokeStop or gym for the game. Really? REALLY? In the Old Testament the Lord was quite clear about steering clear of witchcraft as the penalty for practicing sorcery was death! In multiple passages, we are warned. Yet somehow we missed the obvious. This game is quite evil! Two months into playing Pokémon an eight-year-old boy asked his mother “what is ‘channeling? '” He explained that there were channelers, bad spirits and ghosts in his Pokemon game, calling out dead Pokémons’ spirits. We need to heed Paul’s warning. If you have kids or grand-kids involved with this game, it’s time to get out the Bible and teach the inerrant Truth in God’s Word about the incredible dangers of the occult. Otherwise you risk losing them to the dark side. Bill Perkins Executive Director Compass International, Inc.